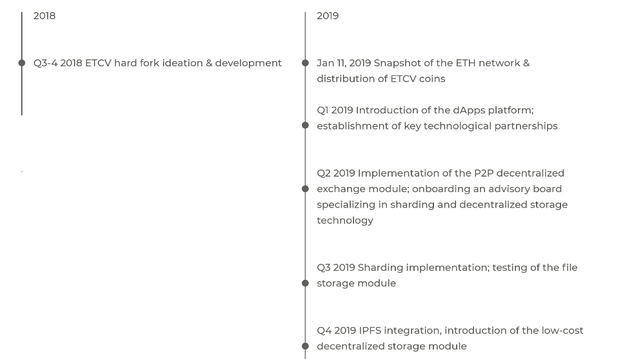 ETHEREUM CLASSIC VISION-MAKING THE EHTEREUM NETWORK MORE DECENTRALIZED. The Ethereum blockchain is one of the major blockchain networks that has been developed to solve the slow speed of transactions on Bitcoin Network. The Ethereum Network has been admired by several crypto enthusiasts by its features of increased speed, use of smart contract and deploying on other blockchains on its network. Currently there are numerous blockchain networks in the crypto space but none has been greatly adapted to like the Ethereum blockchain network. The launch of the Ethereum blockchain network changed the paradigm of blockchain to not only serving as distributed ledger but also to create a platform where other decentralized applications could also be created on it. This seems to have been a great idea but along the line so many problems have cropped up among the of the Ethereum network. In as much as we talk of the blockchain technology been fully decentralized it has been observed by most crypto enthusiasts that the Ethereum network is not fully decentralized at it should be. Look it up on Etherscan and you would find out that the Ethereum foundation controls much mining power in the controlling of the Ethereum network hence you will see some familiar mining pools always receiving rewards from confirming transactions unto the blockchain. This has created a whole lot of panic about the sustainability of the network as many people fear that the network stands to be attacked if care is not taken. To break it further down, the blockchain distributed ledger is characterized as resistant because of the fact that in order to launch an attack one needs to control over 50% of the network in order to successfully attack the network. With some few mining pools controlling major portion of the network you can be rest assured that an attack launched against these mining pools could pose a great danger to the whole Ethereum network. Not to scare my readers but looking at the huge number of other blockchain networks and decentralized application which have been deployed on the Ethereum network this could be very disastrous for the entire crypto community. One may ask how come the Ethereum network seems to be controlled majorly by a handful of mining pools? This is basically as a result of the Proof-of-Work consensus protocol that is used by the Ethereum network to build its blockchain. This type of consensus protocol requires miners to increase their hash rate in order to solve mathematical computations. Miners have to purchase expensive mining devices in order to keep up with the competition in getting to be rewarded with block confirmation rewards. Furthermore, the Ethereum network increases its difficulty level at some blocks and this makes it more difficult for individual miners to contribute to the network leaving the network to be fully controlled by these mining pools established by the Ethereum foundation. In order to achieve a truly decentralized platform the Ethereum network has realized the need to swift from a Proof-of-Work consensus mechanism to a Proof-of-Stake consensus mechanism. WHAT DOES THE ETHEREUM HARDFORK BRINGS TO THE CRYPTO COMMUNITY? Ethereum Classic Vision is one of the hardforks that is going to be created by the Ethereum network and this system of consensus mechanism ensures a fully decentralized system whereby almost every crypto enthusiast can make contributions to the network by fulfilling some required measures. This system has been adopted by some minor blockchain networks in the running of nodes on their network. For instance, PIVX requires a collateral of 10,000 PIVX coins in order to register as a node on the network. All these coins are allocated to the collateral pool server as a leverage upon the miners to only confirm honest transactions on the blockchain. Miners who are suspected and later confirmed for any suspicious acts stand the chance of losing their coins to the other honest nodes on the network. This form of leverage keeps the system secured. The Proof-of-Stake system also brings about a fully decentralized platform as crypto enthusiasts all across the globe can join the network in confirming new transactions on the blockchain. This would also increase the security of the blockchain from being easily attacked as it is evenly controlled by different people across the globe. Mining using Proof-of-Stakes is also very affordable as it does not require members to purchase expensive items in order to increase their mining power to add blocks unto the blockchain network. Another benefit that this consensus mechanism of the hardfork operates also does not consume high amount of electricity which would contribute to the expenses of the miners.